Below you can view all the homes for sale in the Colvard Farms subdivision located in Durham North Carolina. Listings in Colvard Farms are updated daily from data we receive from the Raleigh multiple listing service. To learn more about any of these homes or to receive custom notifications when a new property is listed for sale in Colvard Farms, give us a call at 919-728-5199. Don't miss out on this gem! MLS#2244225. 3140. Two new HVACs (2018), Attic re-insulated (2018), Bosch dishwasher (2018), GE profile convection oven (2018)! Wow! 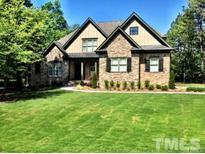 MLS#2242473. 45. Seller to pay $10,000 buyer closing costs! MLS#2241258. 350. Live moments from Southpoint & I-40, but feel worlds away! MLS#2240477. 2506. One of the best outdoor living set-ups in Durham: privacy, outdoor kitchen, screened porch, deck, waterfall, covered living (dining, living, fireplace) Pics: https://picture-your-property.seehouseat.com/1169218?a=1 MLS#2220592. 4154. Family Room: CffrdCeilng, CstmSrrnd Fireplace w/Mntle & Bkshlvs! MLS#2215140. 1128. Wonderful central common area right outside w/access to the walking trails. Low county taxes! MLS#2204848. 62. Thoughtful details throughout this amazingly beautiful home! MLS#2197282. 4022. Plenty of time to pick selections. MLS#2187968. 4022. Tons of walk-in storage. High end finishes throughout. MLS#2153424. 4022.